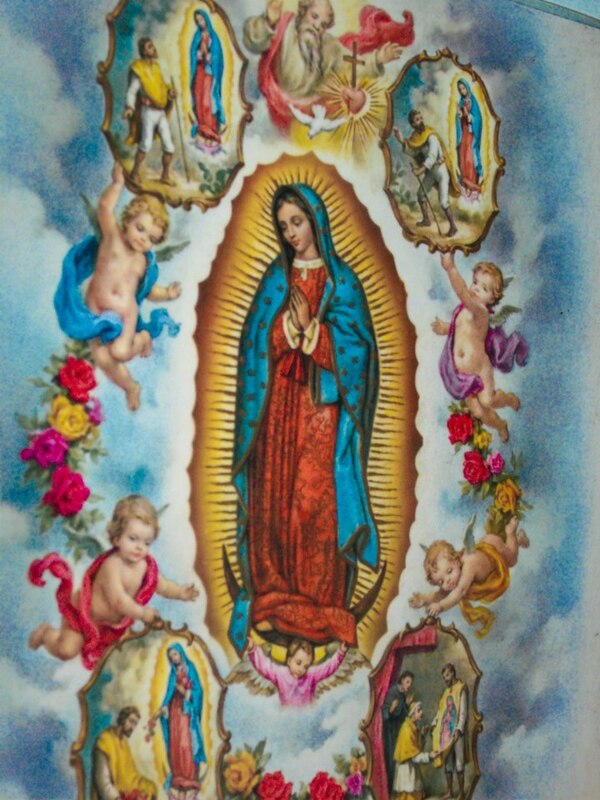 LatinaLista — Visit any Mexican American community or family home and chances are there is a statue or portrait of Our Lady of Guadalupe, the patron saint of Catholic Mexicans. In fact, Our Lady of Guadalupe has reached such iconic status that her image has gone from church pedestals and home altars to pop art, t-shirts, Christmas ornaments, candles and even jewelry, embraced by non-Catholics as much as Catholics. There’s no better time of the year to see Our Lady of Guadalupe’s image out in ‘public’ than around the time of her feast day, December 12. This year was no different, and for seven young Latinas from Boyle Heights, California that was a good thing. 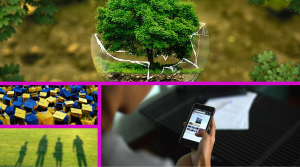 Ranging in age from 14 to 20-years-old, the young Latinas were challenged with a special assignment — document the image of Our Lady of Guadalupe throughout their neighborhood and, via creative writing methods, express what she means to them, if anything. The assignment was created by two organizations dedicated to empowering young Latinas — Las Fotos Project and Girls Today Women Tomorrow. 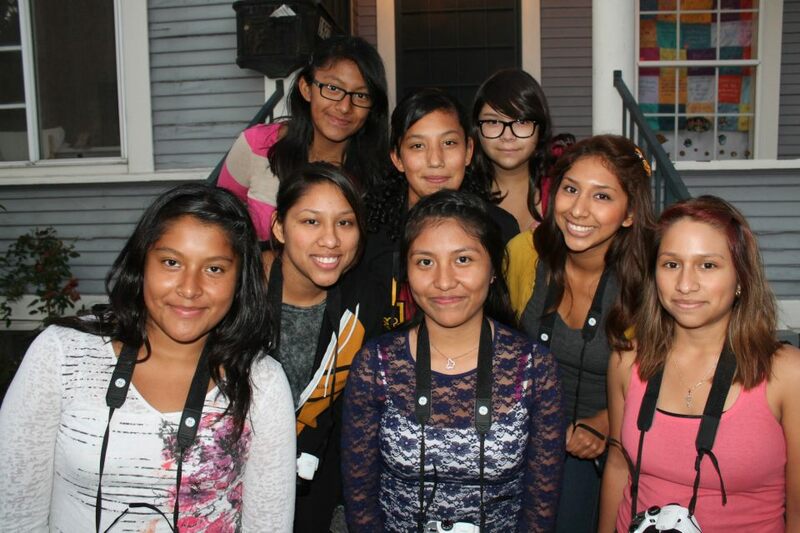 Las Fotos Project empowers Latina youth through photography, mentorship, and self-expression. Girls Today Women Tomorrow empowers girls to create their own opportunities for life success through contributing to their community as young leaders guided by mentors dedicated to expanding their horizons. After being supplied with cameras and training in photography, each of the girls began scouting for the familiar image in their homes and neighborhoods. Their pictures were then assembled into three separate exhibits where the public got to know the photographers through their works and have the opportunity to purchase them. For example, 17-year-old Elsie, took a picture of a man kneeling in front of a homemade altar and was struck by how the dominant machismo becomes subdued and humbled before one woman – Our Lady of Guadalupe; or Adriana, age 20, who when visiting her grandmother’s room after she had died, discovered the depth of her grandmother’s devotion to the beloved Virgin. 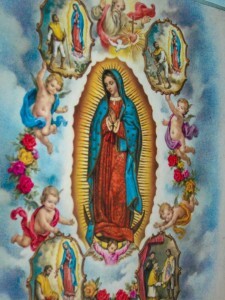 Fourteen-year-old Rosa took a picture of a mural of the iconic image that sported text declaring the saintly woman to be the “Queen of Mexico.” However, Rosa wrote that Our Lady of Guadalupe didn’t belong to just Mexico but also to the United States and how devotion to her has been carried north of the border by Mexicans. Sixteen-year-old Raquel, whose mother had recently dedicated her life to God, snapped a photo of her mother in the family kitchen wearing a t-shirt that identified her as staff working for La Virgin de Guadalupe. The combination of photos and texts completed a picture of not just a cultural icon and her role in Mexican American communities but the girls were able to capture the depth of religious devotion that exists within their community towards a religious figure whose popularity is not limited by generation or gender. The girls’ photos are available for purchase and can be viewed online.